With our famous pool, did you think The Lafayette was only a summer hotspot? This Fall we have a fresh harvest of activities for you to make memories with us! Now is the time to enjoy Fall…Brewing that is! North Park is the hub for tasteful microbreweries - so why not make The Lafayette your convenient starting point to your personal brewery tour? Book the Bed & Brew package and make your way to to Stop #1 - Fall Brewing - as you receive a $25 gift certificate with the package. The month of October San Diego celebrates Kids Free October across the county, and we are participating! Dine with the little ones at Hope 46 while we offer up to two complimentary kids meals for ages 11 and under (with a purchase of an adult entrée). Fill up before you head out to check out 100+ other Kids Free events nearby, like the San Diego Zoo or SeaWorld San Diego. Night swim with sharks? The fun starts after dark when our featured film JAWS kicks off the evening with a bloody scare. Grab a floatie and make your way to our (possibly) shark-infested Weissmuller Pool. Admission is free! Dive into some $5 specials and devour fish tacos, gulp down a sharktini or a blood orange margarita. Be prepared to get spooked as you enter our wickedly transformed manor known as The Lafayette on October 27th. Our Spooktober-Fest will be the highlight of the evening as we mash up with local breweries and artists to bring you an event to die for. 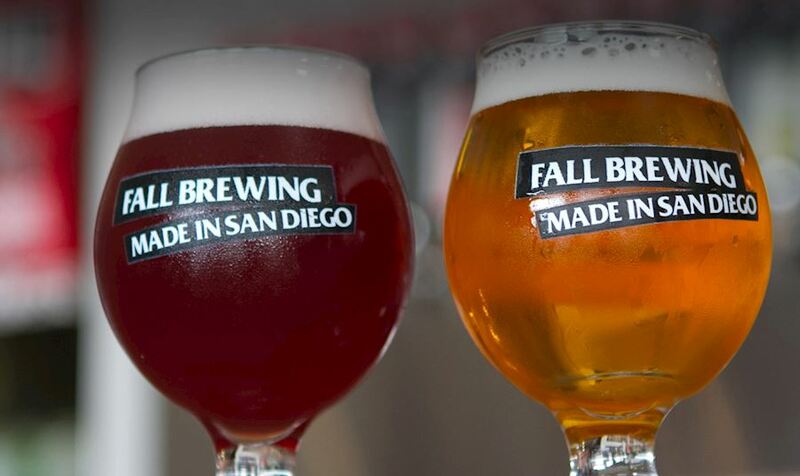 Our beer garden will be a sight to see as Fall Brewing, Thorn Brewing, Green Flash, Elysian Brewing and Coronado Brewing compete to be the Best Decorated while serving two of their best brews. Get festive and dress to scare. Best costume wins a 6-month Swim Club Membership. Make your way down to our infamous Mississippi Room where the tunes by PINBACK, GODS OF MT OLYMPUS, and BUCKFAST SUPERBEE rocking the stage for you all night. Make MORE memories at The Lafayette this Fall!